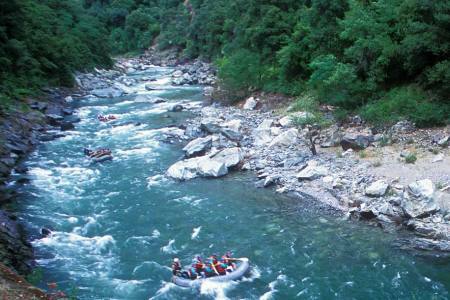 A deservedly popular and medium length of river trip is combining exhilarating white water with fine sceneries. The Kali Gandaki raises in Mustang an enclave of Nepal Poking into Tibet on the other side of the Himalayas here; it is a flat and braided river, flowing in an arid open valley. As it tumbles down between the majestic Dhaulagiri and the Annapurna ranges, it creates one of the world's deepest gorges. The explorer Michael Peissel ran this stretch of the river in a small hovercraft in 1973 and at least two other groups have rafted and kayaked in this section. 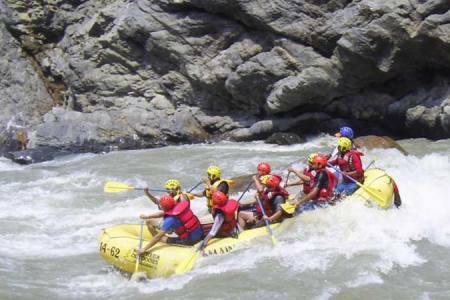 All day you have to continuous keeping paddlers busy against all technical rapids on the Kali Gandaki River. Nice drops, sparkling chutes and turbulent rapids provide class III to IV+ runs during the fall and spring seasons. 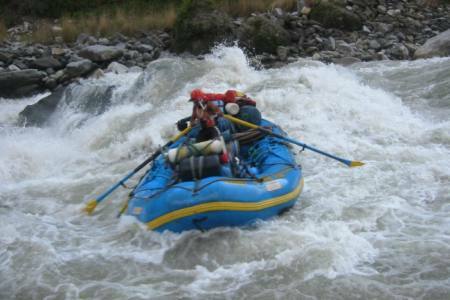 Day 01: After 8-9 hrs driving from Kathmandu you will reach rafting point near Beni. Day 02: Wake up, warm breakfast and after packing all the equipments you will jump in river. Day 04: Soon after being back on the water we reach the holy village of Seti Beni soon after this it is time for the journey to end where our bus waiting for us. All kinds of local and government TAX etc. Any others expanses which are not mentioned in "Price Include" section etc. 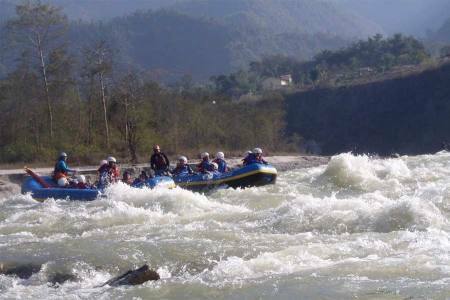 Day 01After 8-9 hrs driving from Kathmandu you will reach rafting point near Beni.This day you will overnight at camp after dinner. 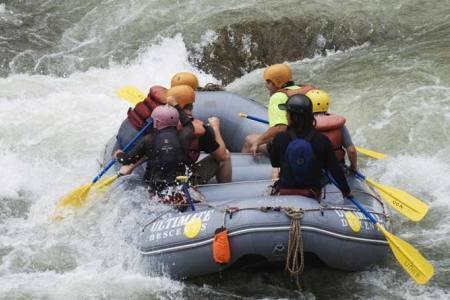 Day 02Wake up, warm breakfast and after packing all the equipments you will jump in river.This day we begin with some class III rapids this is a warm up for the team, after 10/15 minutes you will be encountering 2 big class 4 rapids i.e. 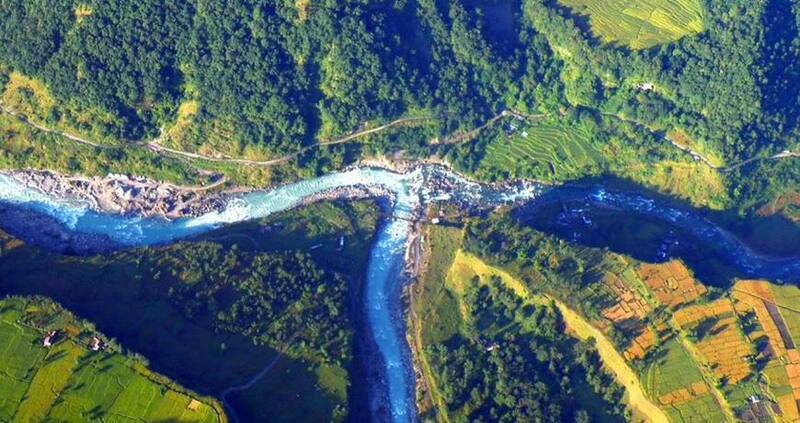 Small Brother & Big Brother and reach Modi Khola confluence where we will choose the beach for the evening campsite. We unload the rafts and one raft team prepares dinner and rum punch whilst the others play or relax and take in the scenery. Day 03 After breakfast and getting prepared your rafting starts with the excellent views of Annapurna 1 and HimachuliWe will tackle many class III sections and the challenging class IV named REFUND. Purti Ghat will be the campsite this day. Day 04Soon after being back on the water we reach the holy village of Seti Beni soon after this it is time for the journey to end where our bus waiting for us.Then we head towards Pokhara and overnight at hotel.